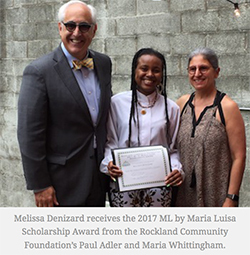 Melissa Denizard will be heading off to Babson College this fall with a little bit extra money to spend on books and freshman essentials, thanks to the ML by Maria Luisa Scholarship. 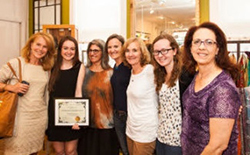 Denizard was presented a $1,000 check by Maria Luisa Whittingham, owner of Maria Luisa Boutique and ML by Maria Luisa in Nyack, during a June 8 award ceremony. Tappan Zee High School graduate Annika Scilipote is winner of the 2015 Maria Luisa Scholarship Award winner. This fall Annika will be attending NYU’s Clive Davis Institute of Recorded Music. The scholarship is a partnership with Rockland Community Foundation, a charitable organization committed to building a better Rockland. The initiative was created by Maria Luisa Whittingham. Congratulations are in order here, at Maria Luisa. The Business Development Center and the RCC College Foundation will be hosting their 4th Annual SBDC Hispanic Business & Student Achievement Awards Luncheon on November 7 from Noon-2pm at the Haverstraw Elks Club. 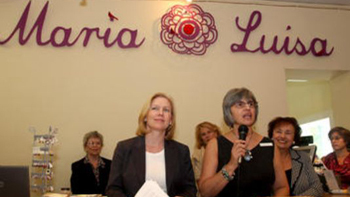 Maria Luisa's founder, Maria L Whittingham, will be recognized as "Latina Entrepreneur of the Year". Please join us in congratulating Maria Luisa Whittingham. We're all, by now, more than familiar with the concept of shopping local and supporting small businesses as a way of keeping the unique identities of our communities intact. But really, how much time do we spend thinking about what all that truly means, especially in today's challenging economy? Maria Luisa Whittingham is a civic seamstress. 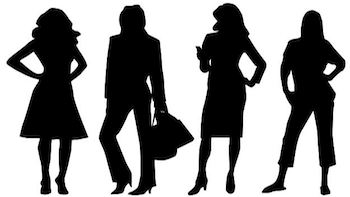 She weaves business, social responsibility and family into a garment of retail longevity. 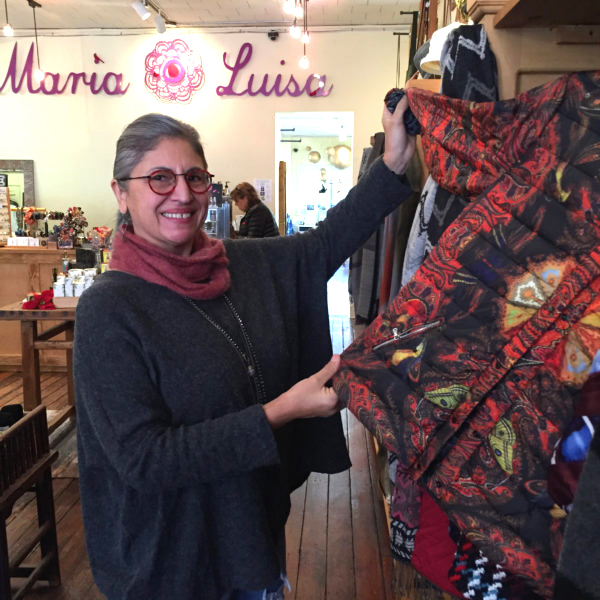 From the durable and colorful threads of a matriarchal tradition and her own raw talent, she has created a popular business and brand: Maria Luisa. 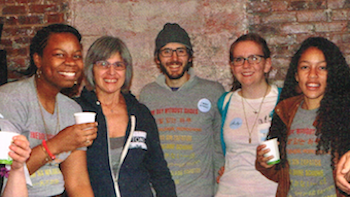 Rockland County Entrepreneur and Community Activist January 2014 - Maria Luisa Whittingham cited for her community leadership, activism December 2013. Maria Luisa Boutique is about to begin its 25th anniversary celebration. Yes, it’s been a quarter of a century doing business in Nyack! 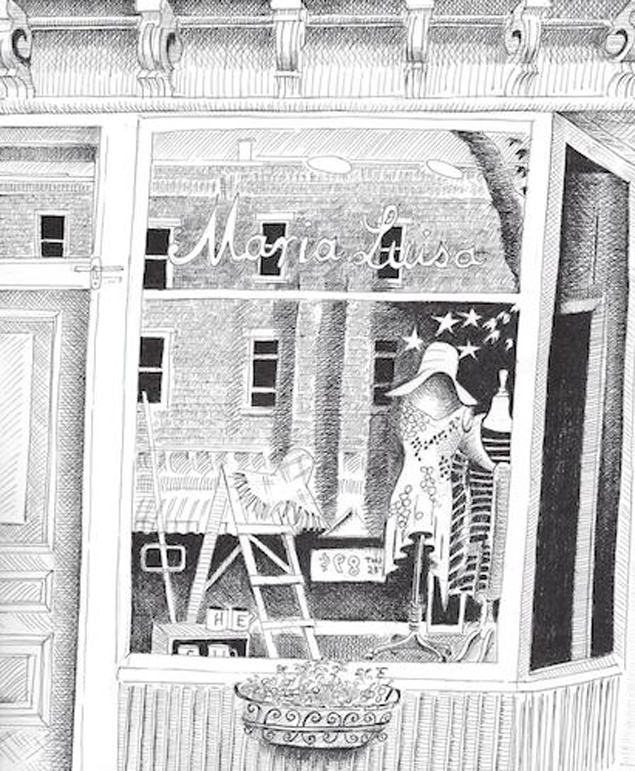 Those long in the area should be well familiar with the original Maria Luisa Boutique, which moved into its latest home just over a year ago. 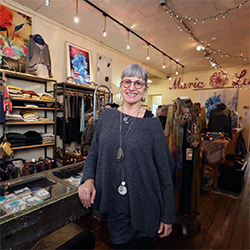 Now fully settled in, Maria Luisa Whittingham's shop is thriving as a destination for those in search of women's fashion, accessories, and gifts. Rockland Business Women’s Network Annual Awards Dinner 2012 Honoree Maria Luisa Whittingham, Maria Luisa Boutique - RBWN Woman of the Year Local Not-for-profit charity event features a special appearances. 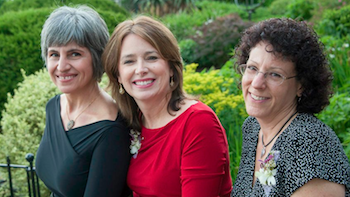 The will honor three local businesswomen Thursday at its annual fundraising dinner. The organization has over 150 members and has donated more than $33,000 to local students for scholarships and business development opportunities. 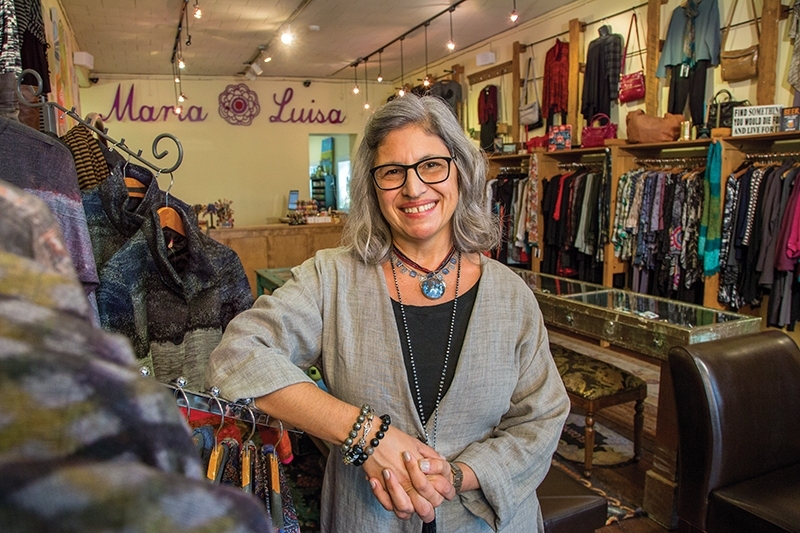 This year’s recipient of our Distinguished Citizen Award went to Nyack’s own Maria Luisa Whittingham, proprietor of Maria Luisa Boutique and ML Gifts and Accessories. Each week MSNBC's Your Business features experts to share their secrets for improving your business. This week, we visited Main Street in Nyack on the Hudson River in NY, where entrepreneurs are going out of their way to get customers to shop small. WomenCentric was on the scene today with over 100 people at Maria Luisa Boutique in Nyack, NY. U.S. Senator Kirsten Gillibrand and Congresswoman Nita Lowey discussed the "Success Act 2012", legislation that could have a significant impact on the small business sector. Nyack, on the Hudson in NY, a community that is typically generous, goes into high giving gear as Thanksgiving nears. 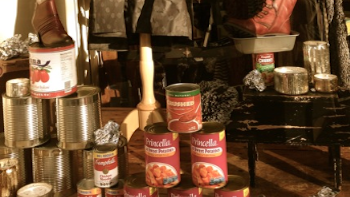 Maria Whittingham and her staff at Maria Luia boutique have created a display that reminds passers-by that local organizations need food donations at this time of year. 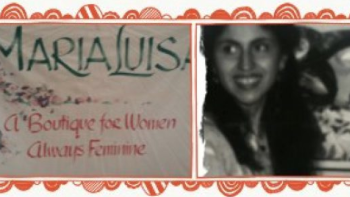 To know Nyack is to know Maria Luisa – for over 25 years. 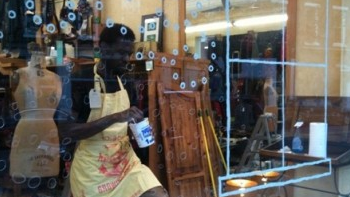 At Liqui-Site, we were fans of her boutique since before it was located opposite of our offices in downtown Nyack. 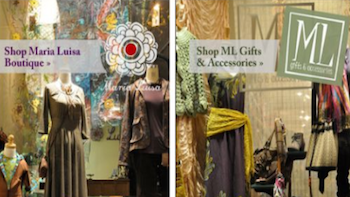 The new website, marialuisaboutique.com, brings online shoppers into downtown Nyack and provides a fun and easy shopping experience. 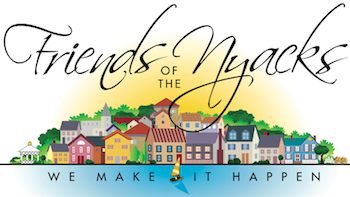 An avid supporter of community and philanthropic causes, small business owner Maria Whittingham experienced firsthand that it really can pay more to give than to receive, after more than 300 supporters rallied together to reward the Nyack, New York business owner for her years. 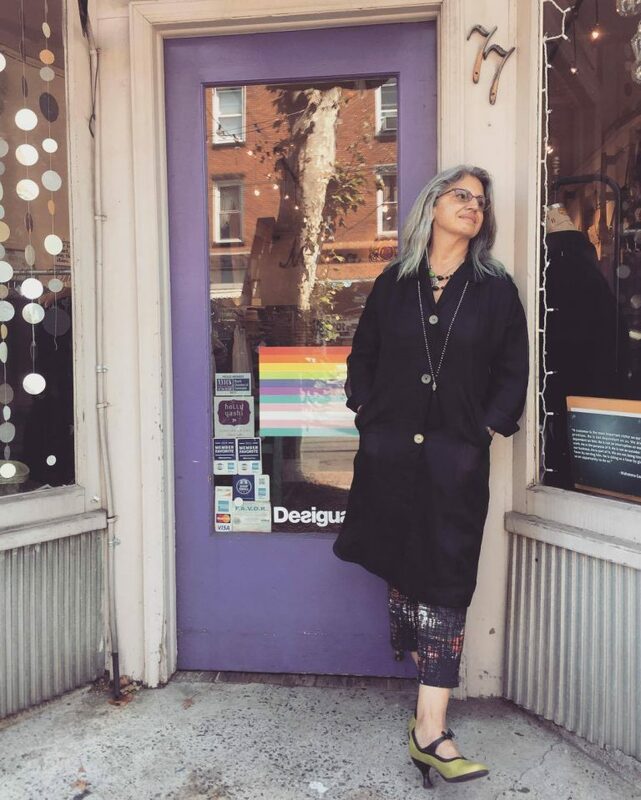 Maria Luisa Whittingham, at her store, ML Gifts and Accessories in Nyack (she also owns Maria Luisa Boutique in the village) is organizing the One Day Without Shoes event scheduled for April 8, in Nyack. Participants will walk shoeless to Village Hall to raise awareness of people throughout the world who don’t have shoes. TOMS shoes is the sponsor of the national event. Rich with cultural attractions, the Hudson Valley and Catskills area will be celebrating it's 400th anniversary in 2009. The region will commemorate Henry Hudson's sail up the river, Robert Fulton's first successful commercial steamship operation and many more nationally significant events. 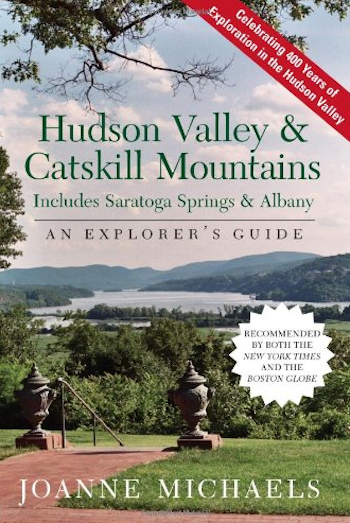 In this completely revised seventh edition, author Joanne Michaels, the most respected travel writer in the region, includes hundreds of places to dine and stay, along with a wealth of information about things to see and do - all within driving distance of New York City, Boston and beyond.